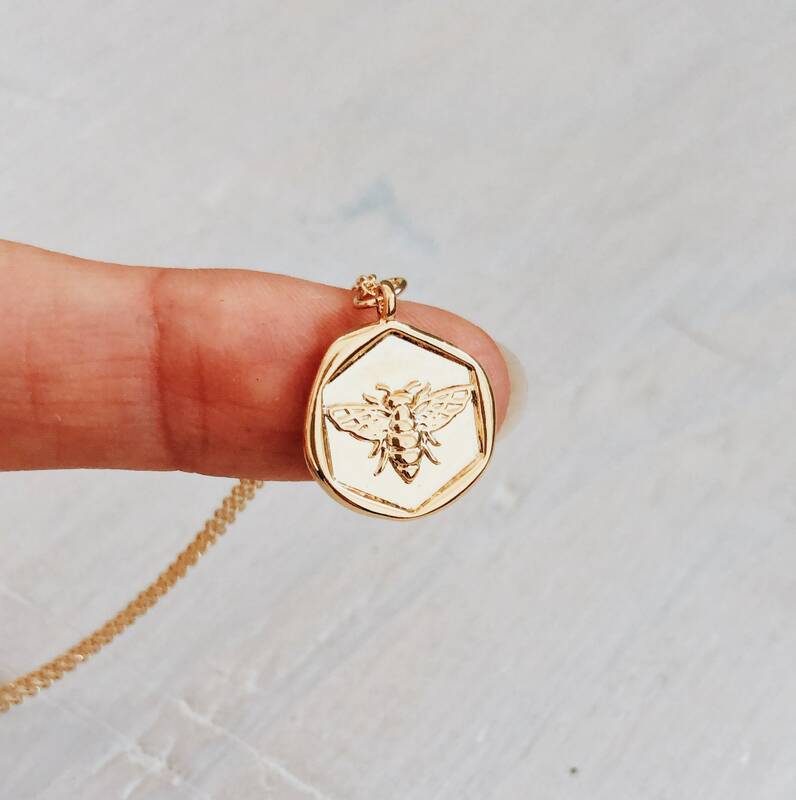 The cutest little bee coin. 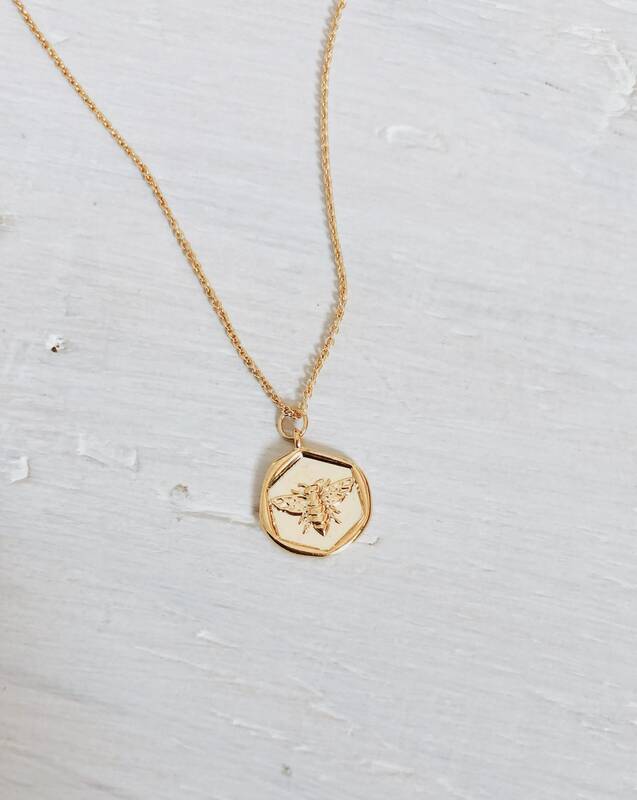 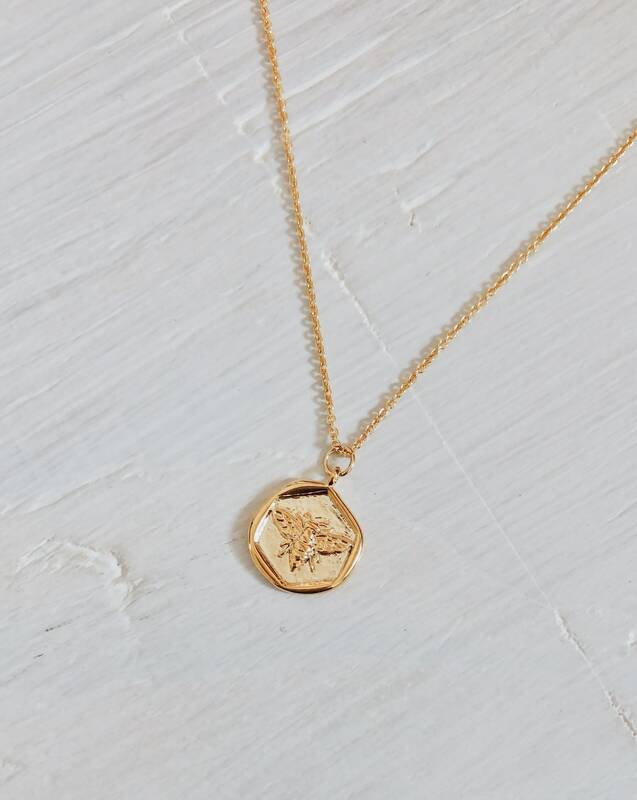 The chain & coin charm are made out of brass and plated in 16ct gold. 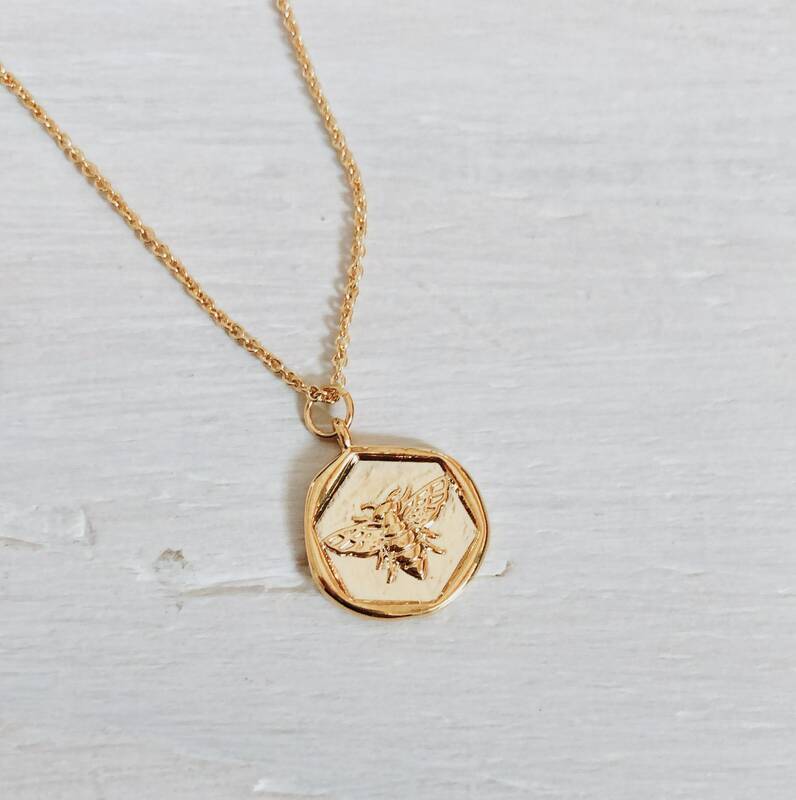 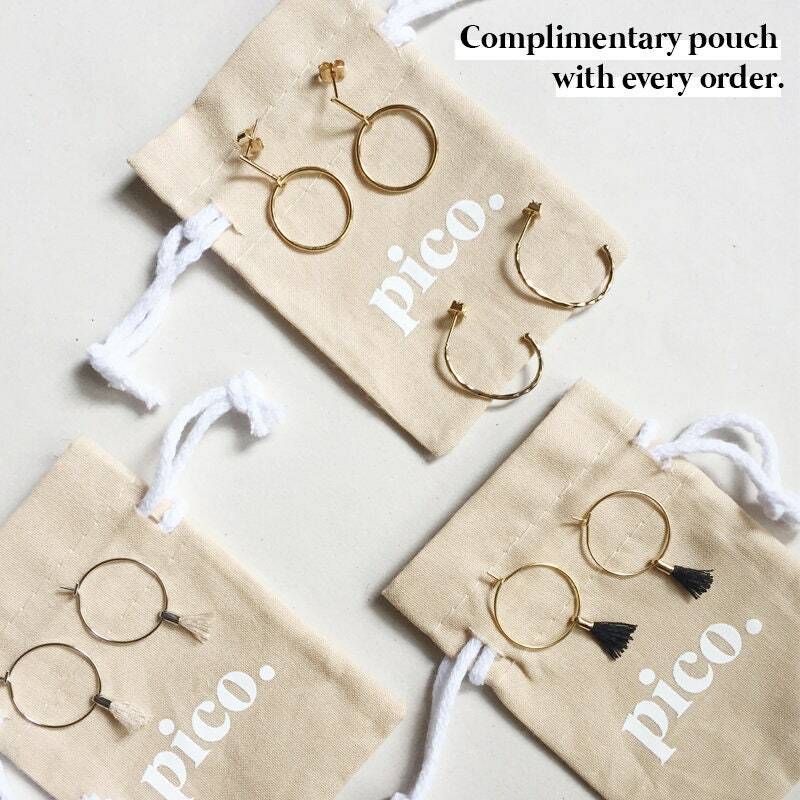 You can layer this beauty with longer necklaces to create your own unique look.